After eight years in the corporate world, Natalie Sisson left her high-paying job that was sucking the life out of her creativity and ability to put a dent in the world, and flew off to another country to play World Championship Ultimate Frisbee and start her first business. After cutting her teeth in the entrepreneurial world as a cofounder of a technology start-up, she went on to take her blog, The Suitcase Entrepreneur, and turn it into the thriving multiple six-figure lifestyle business she can run from just a laptop and her smartphone. Driven by her desire to obtain what most value so highly but few achieve—ultimate freedom—she spent the first two years hustling like crazy, making the same mistakes most new business owners do, and learning a lot of hard lessons before she developed the blueprint to building a thriving online business and her dream global lifestyle. 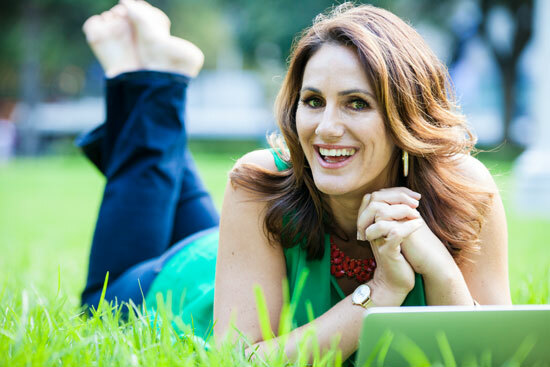 Now, Natalie teaches thousands of entrepreneurs around through her online programs, workshops and retreats. She is dedicated to helping entrepreneurs uncover the life-changing habits, tools, routines and mindset to experience more everyday personal and professional freedom, so they can truly live the life they desire, while running a profitable business they love. Natalie is a contributor to Forbes and the Huffington Post and has been featured in many other publications and media outlets including 60 Minutes, Yahoo Finance, The Guardian, the Daily Mail, The Sydney Morning Herald, American Express Open Forum, Mashable, Visa Business Network, Social Media Today, and PayPal. Originally from New Zealand, Natalie has traveled to seventy countries to date and lived on five continents, won a gold medal in World Championship Beach Ultimate Frisbee and smashed a World Record in Dragonboating with the Sisterhood. How do I run my profitable mobile business? To tell the truth, my business has been built by a whole lot of determination and strategic hustle! I work on planes and in cafes. I turn hotel rooms into podcast studios and I do whatever it takes to serve my audience, consistently. 1. My foundational program The Freedom Plan I designed to help people create their ideal freedom business. 2. Awesome courses like Idea to Income Course for those who want to start an online business but have no idea (or too many ideas to choose from). 6. Paid speaking gigs around the world! My life changed again in 2013 when I decided to publicly state my vision for my business and life – what I wanted to achieve in the next three years. I did this by making a ‘Painted Picture’ and I shared it on my blog and through Slideshare. Since then, it’s had over 53,000 views and over 60% of my vision became a reality within the first 12 months! In January 2015, I created my NEW vision for life and business (43,000+ views) and it’s already coming true along with my grand plans to create the World’s first Global Freedom Study through my new business initiative, Right2Freedom. I’d love for you to take a look at it below to see my vision for living life, running my businesses, what I offer, how I feel, who I surround myself with, how my team works and more. I’ve grown The Suitcase Entrepreneur into a thriving online community of thousands of men and women and lots of happy readers and customers. But what I really live for is helping people create a business that lets them truly live their ideal lifestyle and chase all the adventure and freedom they could ever want. 2013 came fourth with GB Women at the European Championships of Beach Ultimate in Spain, published The Suitcase Entrepreneur book to the world and had my Suitcase Entrepreneur Podcast nominated as the Top 10 in Business at the Podcast Awards. 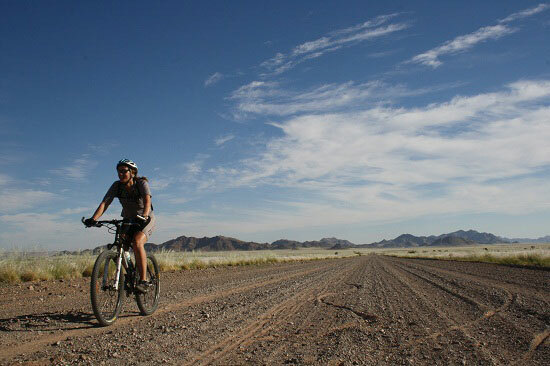 2012 In March to May I cycled from Nairobi to Cape Town and over 6,000 km while raising over $12,600 for Women Win in the process. Find out about this journey here! 2011: Named one of the 25 Most Influential Women Tweeting about Entrepreneurship, listed in 30 Women Advocates to Follow on Twitter, and named in the Top 10 Entrepreneurship & Innovation Influencers. 2010: Named a Successful and Outstanding Blogger by Liz Strauss and SOBCon, selected by Nike as an ‘outstanding female blogger’ and nominated for Canada’s Top 40 Under 40 Award. 2008: Co-founded ConnectionPoint and built the Facebook App FundRazr. FundRazr is now the Number 1 Fundraising Payments application on Facebook. Placed 6th in Women’s at the Ultimate Frisbee World Championships representing New Zealand. 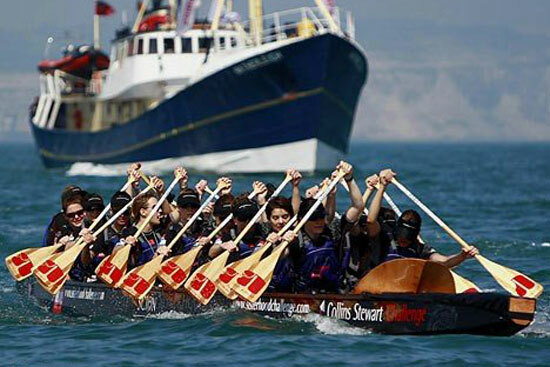 2007: Smashed a World Record for Dragon Boating across the English Channel with the Sisterhood and won the gold medal at the World Beach Ultimate Championships in Brazil. I’ve traveled to 69 countries so far and my aim is to see half the world. In the last 12 months alone I’ve visited 4 continents, 18 countries and 25 different cities (several more than once). I fancy myself as a bit of a pool shark, and table tennis too and have an odd penchant for picking guys up in bars (no, literally picking them up off their feet – especially the taller and heavier). It’s a rugby lift thing. I almost got arrested in Sydney when I told security that he didn’t need to check my bag for explosives because they were strapped to my chest (yes I know, stupid joke to make). I entered Burma illegally in 2006 and got chased out by a crazy man with a gun. I have New Zealand and United Kingdom passport and Canadian Permanent residency. Last year I was told I was officially a fiscal nomad – love that title.